The ability to take calculated risks is what separates successful entrepreneurs from the not-so-successful. But risk taking is not for everyone. Risk should not deter an aspiring entrepreneur. 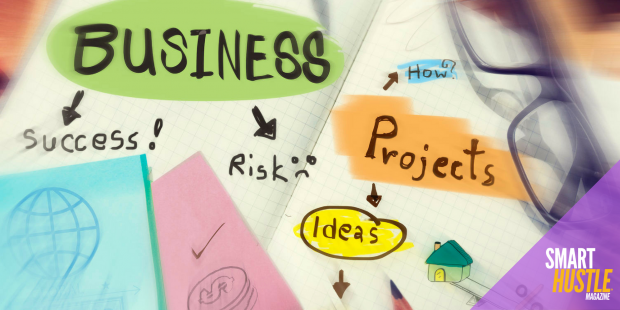 How do you create a successful business without risking it all? The first step in the process is side-hustling. A side hustle lets you keep your day job and eliminates the biggest obstacle to entrepreneurship - the fear of going bankrupt. The second step is to find a side hustle that will require very little capital investment. For a business to be successful, founders need to invest money or sweat. The less capital you put in your business, the more sweat equity you will require. For an aspiring entrepreneur with very little capital, this may be a good deal. Before you find the right business idea, identify the equity that you and your partners can contribute. A capital contribution can make things easier. The founding partners must also look at the type of sweat equity available. A team of programmers may contribute towards building technology. A business expert could contribute towards marketing or operations. Knowing the strengths and weaknesses of your team will help with finding the right business idea. Once the founders have pooled their thoughts on the kind of sweat equity available, the next step is to consolidate them. If the team has a lot of programmers, then it makes sense to invest in a website or software business. If you have accountants or lawyers on the team, then you could invest in an idea targeted at these businesses. Pick an industry that excites all members of your team. Dropshipping - Businesses set up online stores at low capital cost and with very little overhead. Sales made from the website are passed on directly to the manufacturer or supplier who will take care of everything from product delivery to customer support. Marketplace - Entrepreneurs who are passionate about an industry but do not have sufficient inventory could look at a marketplace. A photographer, for instance, could partner with other photographers to build an online marketplace for content creators to sell their photos online. This is the same business model used by services such as Shutterstock and Getty Images. Business Listing - Online business directories like Yelp serve as a gateway for consumers to review service providers across various industries. Niche business listing services like Yelp help customers research the businesses that they want to transact with. The revenue model in these businesses are lead-based. They make money for every lead gathered and delivered to businesses that request them. Don't let fear of #risk stop you from #entreprenuership. A side-hustle is a #smarthustle. The advantage of adopting a tried and tested business model like dropshipping, marketplace or business listing is that you do not have to reinvent the wheel. There are dozens of tools and scripts available on the market that can do the job for you. SaaS based services make it possible for businesses to get their feet wet with a nominal subscription fee. This way the financial risk is largely eliminated. The strategy advocated here helps aspiring entrepreneurs build a business with little financial risk. Making this business a success depends on how much time and resources you can allocate. Marketing your business is an ongoing effort and requires a lot of persistence. If you have a marketing budget, you may use this to create the initial traction through advertisements on Google or Facebook. In the absence of a marketing budget, businesses must spend a lot of time on the right marketing channels (social media, email, blogs, etc.) to reach out to your audience. 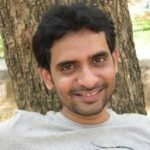 Anand Srinivasan is a marketing consultant and the founder of Hubbion, an online collaboration tool that is targeted at freelancers and marketers. He is a regular contributor to a number of popular online media outlets.